This the 10 Best Places to Find Wood Ring Supplies Online. 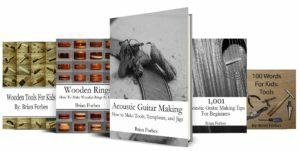 If you need to learn the best places to find the highest quality, and the most unique ring making supplies online, this is your guide. 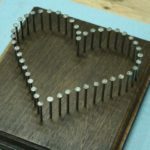 These ten places are perfect for all levels of wooden ring making, and are just what you need to showcase your best work. Enjoy. Wood ring supplies are not easy to find sometimes. You can go into woodworking store and look in the hardware store, but they are just not equipped to give you what you need. They serve a lot of different markets, and ring making may be a small section or no section at all. 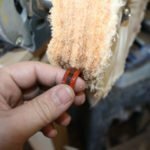 Thankfully, there are a lot of place that you can go to find good wood ring supplies, and without leaving the comfort of your home. The internet has made the world smaller, and now you have access to the entire world. No longer do you have to wait for the store you like to get with the trends and start carrying supplies for the projects you love. You can just go online, and the world will be right at your fingertips. The selection is amazing, and the inspiration you get from the materials you see is hard to describe. You will love it, and you can make a unique wedding band, a ring for yourself, engagement rings or a great looking gift. 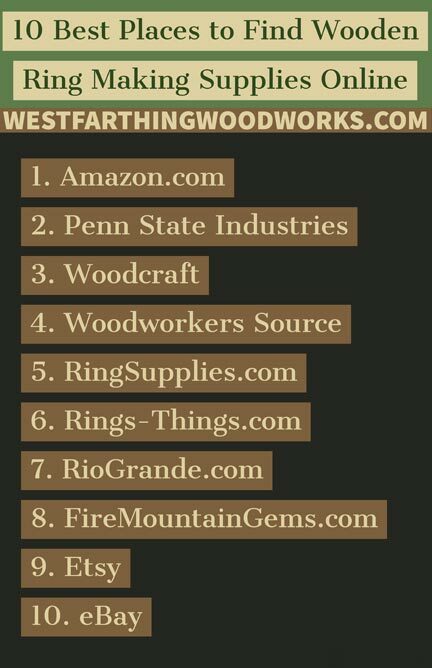 This is the list of sites that I use for my ring making supplies, and I will go into each one of them in more detail farther down in the post. Amazon.com is my favorite online retailer for everything. that includes ring making supplies for my wood rings. There are millions and millions of products on Amazon, and you can tackle every facet of ring design. If you make rings with metal cores, Amazon has a huge selection. You can find everything from stainless steel, to titanium, to Tungsten. They also sell gold rings, and silver rings too. If you want to get a really nice wood ring core, in a lot of different ring sizes, then Amazon makes it very easy. You can also find pieces of wood for blanks, tooling, and more. If you need a lathe, or lathe tools, they have you covered as well. You can literally buy the entire life cycle of ring construction from the tools to the materials on Amazon. After that, you can buy bags, boxes, and display cases to sell your rings or ship them to your customers all over the world. 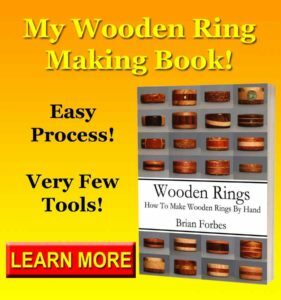 It’s such an amazing resource, and you are sure to find a lot of good ring making items if you just take a look. Penn State is my absolute favorite site for ring blanks. They have a huge selection of blanks because they are a catalog of supplies for the wood turning community. 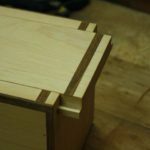 They cater to that one section of woodworkers far more than any others, and they do it really well. There are tons and ton of wooden blanks to choose from. There are also different types of wood like stabilized wood, dyed wood, and combinations of those processes. There are types of wood that are just gorgeous, and others that you have never heard of before. They also have a gigantic selection of acrylic and plastic. These are where the real magic happens, because these materials are some of the most interesting to see. The colors, patterns, and designs are truly inspiring, and they make a great addition to any wood ring. They also sell lathes, lathe chucks, and other supplies that are useful to ring makers. They have a catalog that makes really nice bathroom reading as well. 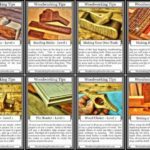 The Woodcraft store is online, but they also have physical stores that you can take a look in depending on where you live. They are a fine woodworking store, and carry higher end tools and materials. They have a good selection of smaller pieces of wood for wood turners, and these are great for making rings. Make sure to find pieces that are not waxed, which means they are fully dried and can be used right away to make rings. They also carry thin stock for making laminated wood rings, and they carry acrylics and plastics too. They do not have the same amount of materials as some of the dedicated wood turning sellers mentioned already, but they do have a good amount. Woodworkers Source is one of the best retailers of high end and exotic wood around. They are a great place to browse all the different kinds of wood in the world, and if you find something that strikes you, it’s an easy matter of buying a piece. Wood comes in so many different colors, and looks. It’s just amazing. Until you see it all for yourself, you just don’t know how truly beautiful nature can be. If you spend one time looking through their website, you will find a bounty of nature that is inspiring. If you want Ebony wood, veneer for making a bentwood ring, or something exotic for a wood inlay, then you can find something amazing at Woodworkers Source. Their selection is more for the pure wood ring makers. They do not carry a lot of the other materials that wood turning suppliers would have. However, in the most pure form, a wood ring is only made from wood, and if you challenge yourself to express your designs with wood only, Woodworkers Source can help you. Ring Supplies.com is a terrific website, and they sell something that is very important to new ring makers, which is the mandrel. If you want to use power to aid in making your rings, then you need to get a good ring mandrel. The nice thing about a ring mandrel, is that it allows you to free up both hands, and work on the ring. The addition of power makes the process smoother, and the rings turn out more uniform and consistent. On top of mandrels, they also have two piece ring cores, solid cores, and blanks that are really amazing to see. I recommend getting a couple of the two piece cores on top of your mandrel, and you will have a lot of fun stuff to work with from that one simple purchase. Rings-Things.com is a gigantic ring makers store online, and you can find just about anything for any kind of ring or jewelry making. They do a lot more than rings, but sometimes that is a good thing. When you decide that it is time to expand some of your ring making into other areas, and incorporate other materials from traditional jewelry making, then this is your site. All you need to do is take one look, and you will be amazed. The selection is huge, and they carry a lot of higher end items for the experienced ring maker. It’s a lot to take in, but you will be there one day if you continue making rings and making it more amazing every time. RioGrande.com makes a lot of jewelry making supplies for beginners, as well as for advanced ring makers. If you want to stat out with some more traditional equipment, then this is the place to get it. They also have a big selection of gems, metal fittings, and high end tools. It’s a great looking selection, and you can find just about anything you are looking for from this website. They do have more than just wood ring making supplies. However, they have enough to get your interests going and have you thinking about a whole new set of ring making ideas after one quick search. Fire Mountain Gems.com is one of the biggest online retailers of ring and jewelry making supplies on the internet. Their website is also set up really well to make finding things easy, and fun. They also have craft supplies, ring sizers, hammering tools, ring clamps, and ring holding tools too. They have a catalog that you can get for reading at home, and they also do seasonal stuff as well. This is nice, because if you are making rings for a certain holiday, and you want to incorporate those colors and ideas, they are right there for you. 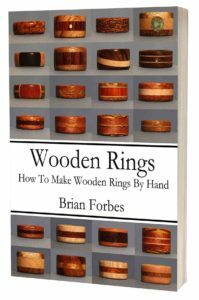 You might even find some things that you were not looking for that add value to your wooden rings. This is a huge win, because when you find something new, you add to the amount of rings that you can make, increasing your selection. Etsy is a place for selling handmade items. There are also a lot of woodworkers on Etsy, and they sell a lot of stuff for ring making. This is great for a lot of reasons, but the number one reason is they are just like you. In most cases, the person you are dealing with is just like you. They are a maker themselves, and they understand the craft. If they are selling a wood ring blank, then you can be assured that the blank is suited for the task. The advantage in this case is you don’t have to worry about the materials working or not. The person that is selling them uses the same materials, and they know their properties. This is one less thing to worry about. You can also contact the sellers directly to ask questions. This is a huge advantage, and it means you will understand what you are buying a lot more than buying blind. If you need something unique for a wedding ring, this is a good place to look. Last but not least is eBay. This is an online auction house made up of regular people that have something they want to sell. This is the place to get really unique items, because most stores carry things that appeal to everyone. Stores have to pay a lot of bills. They won’t carry really unique item in small quantities because they have to know they can sell what they have to keep their doors open. This is great for the seller, but not the most open marketplace for the buyer. The eBay community is different. If someone has an antique Cherry log from their fathers old cabin that they want to sell, you can buy it. There may only be a few of those in the world, but you can buy one. This is the magic of eBay. There are also small lots of wood you can buy, unique woods, special woods, and even more handmade materials. A lot of individual makers create their blanks and sell them on eBay. It’s the first place someone brand new in the market can go to sell without a huge price burden, so that’s where a lot of makers go. Who knows, you might end up buying from the next mega giant woodworking company while they are still a small competitor. 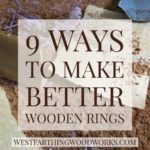 Make Wooden Rings the Easy Way! Available Now on Amazon! Your homework is to not worry anymore about finding wood ring supplies online. These ten places are all you need to get the best materials, the best prices, and the most inspiration that you can possibly find in one place. Spend some time on the really big ones like Penn State and Amazon. These two places offer the biggest selection, and the best prices. They also offer some great items that you will be proud to make into rings in your shop. After that, give eBay a try. Dig deep and find some of the one of a kind items they have, and make your rings truly unique. Everyone loves a good story, and if you can find a piece of wood with a good story, the ring will sell itself, and the owner will love to tell everyone they meet all about it. 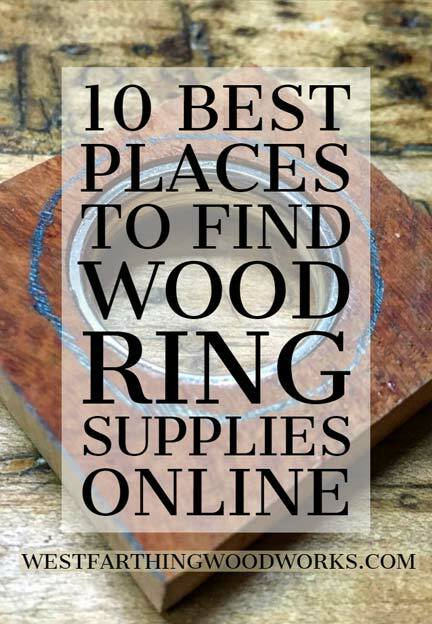 If you have any questions about 10 Best Places to Find Wood Ring Supplies Online, please leave a comment and I will be glad to answer them. Happy building.